At the heart of what we do is a passion to reconnect people with nature to heal and restore. Our retreats and day workshops will give you space to immerse yourself in nature, slow down and step away from the fast pace of modern life. We will of course spoil you rotten as well. Incredible nourishing food and beautiful accomodation come as standard on our retreats. Although we are getting back to nature, you can expect luxury touches like a hot water bottle before bed and fresh flowers in your tent, because we know it's the little things that make your heart sing. We are incredibly lucky to have use of Elmley Nature Reserve in the Kent countryside for our retreats. We are not sure you can beat this spot for its awe inspiring backdrop and big skies that leave you feeling connected, grounded and quite simply, happy. Three women with a passion for the outdoors are the force behind The Nature Sessions. Elmley is Georgina's family farm and in 2013, her and her husband Gareth moved in leaving behind busy office jobs. Georgina opened the shepherd's huts in 2014 to give people a place to relax and reinvigorate in peace, with breath-taking views and fresh air on tap. Georgina lives down the road from Elmley with her husband, Gareth and two kids, oh and of course the dog! Kim is an events specialist and a yoga teacher. Kim is our chief organiser and it’s her dream to offer people the space to get back in touch with nature and themselves. Kim trained to be a yoga teacher with the Sivananda school of yoga in 2012. Kim teaches a very relaxed style of yoga. Her focus is less on the shape, but how you feel in the present moment. A self confessed perfectionist (I’m working on it! ), Kim uses yoga as a tool to step away from the mind and the need to be perfect and to simply be in the body. 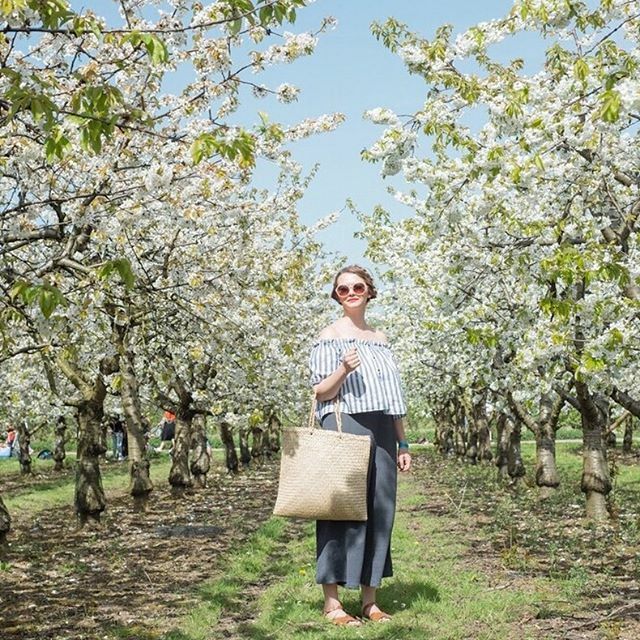 Kim recently left London to return home to the Kentish countryside with her two young children and husband and is all too aware of the healing power of nature. She can mostly be found organising her oranges.